Do you feel yourself getting caught in October’s pink undertow? Now it’s easier than ever to share your sentiments. Just review these MBC bits and pieces and copy and paste to your favorite social media vehicle, email signature block or newspaper opinion page. Got a note or quote to add? Please share in the comments! “Cancer is not a ribbon, a screening test, or a leisure activity. It is not a sassy t-shirt, a proclamation of survivorship, or a gift worth giving. It is a disease. For 65 percent of those who are diagnosed, it will be the eventual cause of death. Iowan Sally Drees is determined to raise $41,000 before October ends (“41k in 31 Days”). $20,500 will go to The Pink Daisy Project, a nonprofit that provides support to breast cancer patients under age 45. The remaining $20,500 will go to METAvivor, a nonprofit, volunteer-run group that funds metastatic breast cancer research. –Dr. Eric P. Winer, director of the breast oncology center at the Dana-Farber Cancer Institute in Boston. Metastatic breast cancer claims 40,000 lives annually in the U.S. As one of 155,000 U.S. people living with MBC, I have a vested interest in educating people about this incurable disease and urging them to support research that helps people with advanced breast cancer live longer. It is critical to the thousands suffering from Stage 4 illness and to the general public that the voices of metastatic breast cancer patients be heard. The late Jane Soyer and Nina Schulman founded the Metastatic Breast Cancer Network (MBCN) in 2004. MBCN is a national, independent, patient-led, nonprofit advocacy group that provides education and information on treatments and coping with the disease. See www.mbcn.org. National Metastatic Breast Cancer Awareness Day is Oct. 13. It highlights the needs of the metastatic breast cancer community. Treatment is ongoing and unrelenting for the 155,000 women and men living with metastatic disease. Please share 13 Facts Everyone Should Know About Metastatic Breast Cancer (http://mbcn.org/developing-awareness/category/13-things-everyone-should-know-about-metastatic-breast-cancer/). but a key point is incidence of stage IV breast cancer—the cancer that is lethal—has stayed the same; screening and improved treatment has not changed this. Mortality numbers tell the story more precisely than survival numbers, and screening skews the survival numbers. The more we screen, the more we diagnose and treat women with breast cancers that would not have been a threat to their lives (some DCIS, other slow growing invasive breast cancers, and others that are dormant or regressive); so it looks like survival for early stage breast cancer is 98 percent. This is only a 5-year survival number—and includes the 20-30 percent of women who will have recurrence and may die of the disease later. For Stage II and III, one-half to two-thirds will develop metastatic disease within five years and they are included in the 5-year survival statistic. Women die of metastatic disease, not primary breast cancer. Thank you for your voice, Katherine. We will raise awareness about metastatic breast cancer. We have to. Keep writing. Help me to get the correct word out! Hey Suze, I will help! Love you, Katherine. That’s all I really have to say. My heart is so full of grief this year, I feel like we should be wearing black armbands, not pink ribbons. …Which gets to the ugly, ugly truth that no one wants to talk about. There is no certainty with breast cancer. Once you have it, there is always a chance of recurrence. There is nothing a woman can do today —not even cut off her breasts — to completely eliminate her chance of dying of breast cancer. 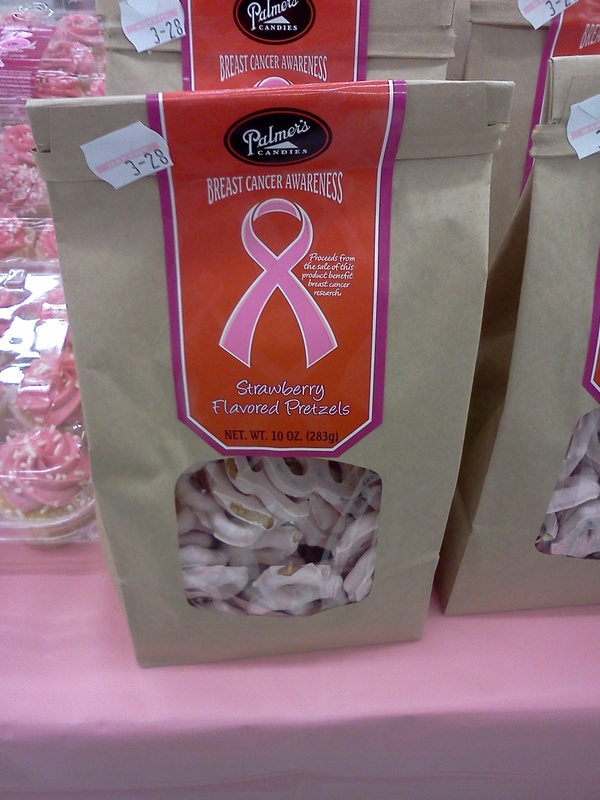 Despite the headlines in those women’s magazines, there are no foods that “fight” breast cancer. Exercise, a healthy diet, limiting your alcohol consumption might reduce your risk, but only a little. Breast self-exams do not reduce breast cancer deaths, no matter how well you do them. Katherine great post. 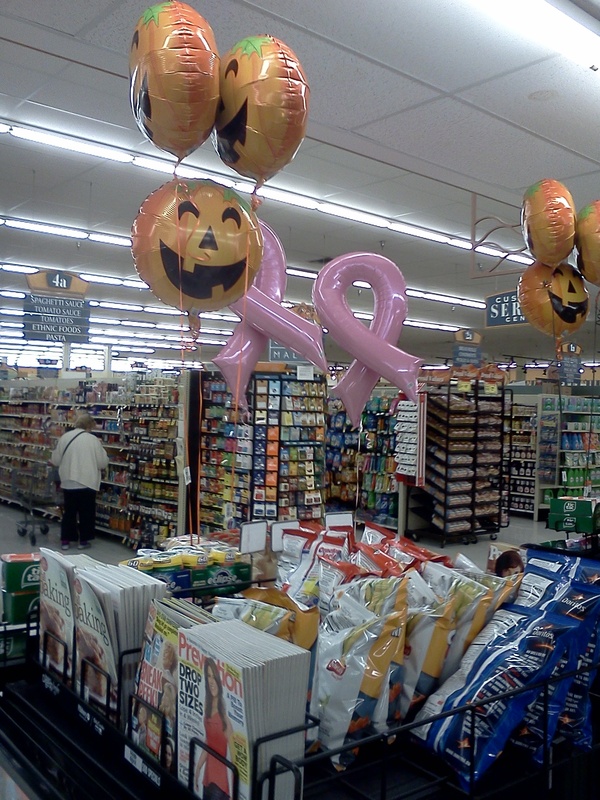 I also feel Pinktober is about “saving the Ta Tas” What ever happened to saving lives. Some of us don’t have “Ta Ta’s” any more. “As I pass my 20-year anniversary as a breast cancer clinician and researcher, it is clear that the basic science and clinical trial output is at an all-time high. Whether or not this is due to increased awareness or to fundamental breakthroughs in science cannot be clear discerned, but in the last two decades, breast cancer specific journals and general journals have increased their publication quantity and quality exponentially. The impact of these findings on earlier detection, less invasive options for surgery, better assays to make medical decisions and newer life-saving treatments are very tangible. > Advanced metastatic disease is no more curable than it was 20 years ago. Although these patients are living longer and better lives, the improvements are not very dramatic. > Disparities in outcome based on ethnicity and income continue, while narrowed in some areas. Wonderful entry on a tough and overwhelming topic that keeps returning. Always enjoy reading your site.